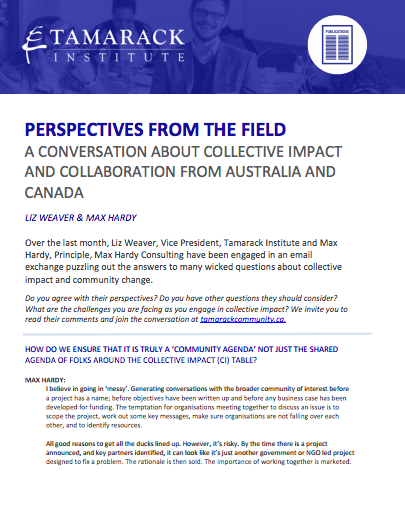 In November 2016, Tamarack partnered with Collaboration for Impact in Australia to deliver a series of community engagement and collective impact masterclasses. 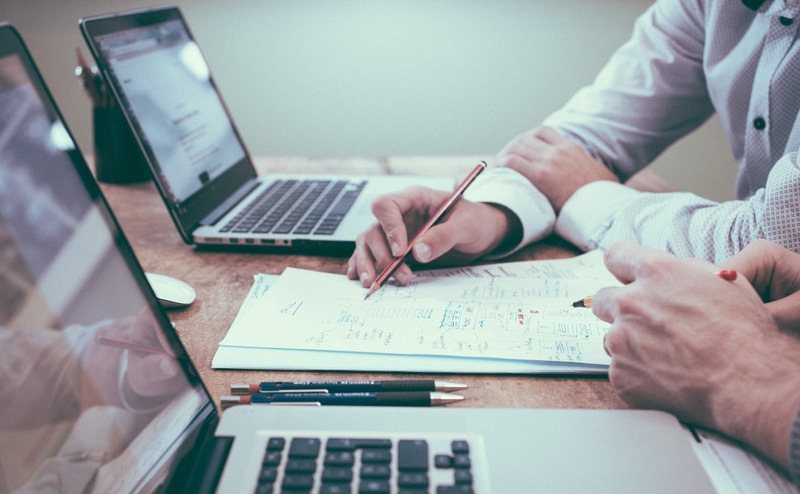 These masterclasses were co-designed and co-delivered by Liz Weaver, Tamarack; Max Hardy, Collaboration for Impact; and Kevin Robbie; formerly with United Way Australia. The curriculum led to many interesting conversations about the contextual differences of how communities in Canada and Australia are embracing community engagement and collective impact. Both countries share much in common but there are many subtle and overt nuances. 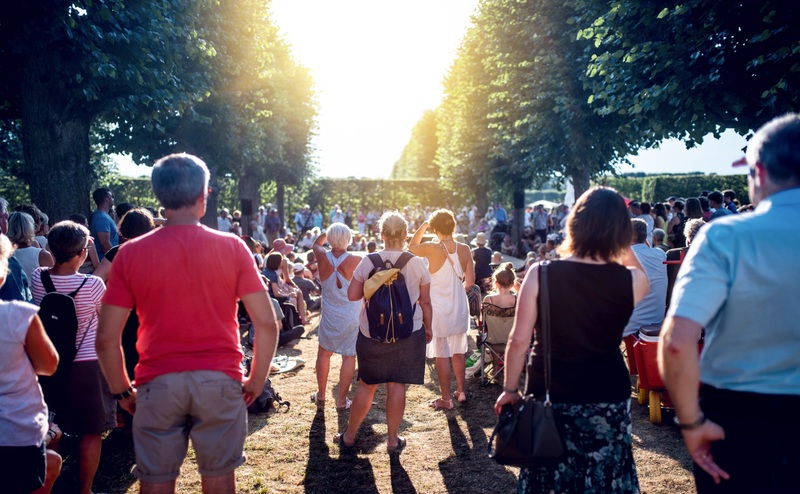 After the masterclass series, Max Hardy and Liz Weaver began to exchange emails about the opportunities and challenges they were facing in supporting collective impact and community engagement efforts in both countries. This paper is their reflections on the questions that communities are struggling to address and perspectives and potential solutions. 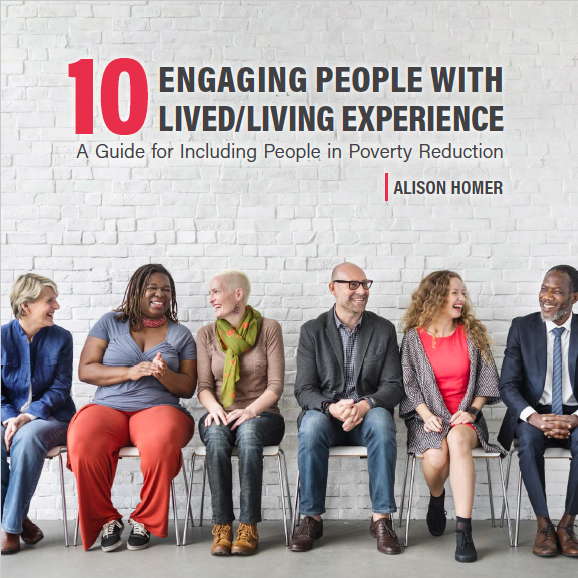 This paper is co-published by Tamarack Institute and Collaboration for Impact.